After learning to meditate while trapped in a flooded cave for 10 days, the Wild Boars soccer team may become monks to honor the diver who died during their rescue. 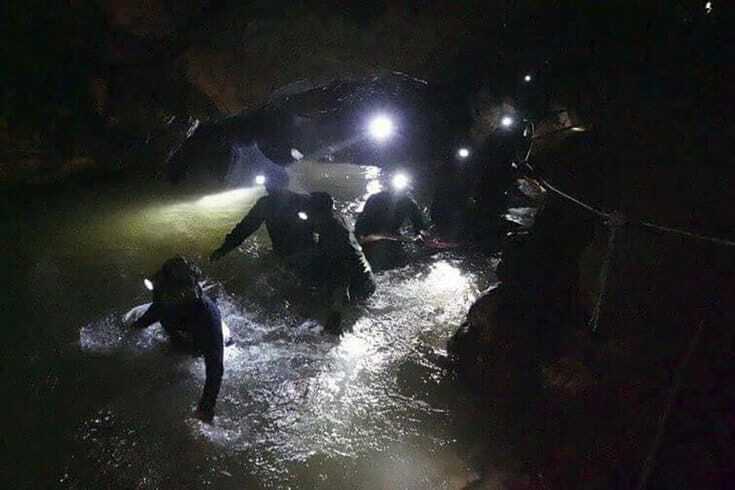 A rescue team searches for the boys in the flooded cave. Photo via Tham Luang Rescue Operation Center. The 12 boys who were trapped in a flooded cave system in northern Thailand said at a press conference that they are considering becoming novice monks as a tribute to Saman Kunan, the 38-year-old former Thai Navy Seal who died during rescue efforts. Banphot Konkum, father of 13-year-old Duangpetch Promthep, one of the team members, said all the Wild Boars will enter monkhood to honor Kunan. In Theravada Buddhism, ordaining as a monk is a holy act. Those who ordain are believed to acquire a great deal of merit because they are devoting themselves to studying the teachings of the Buddha. 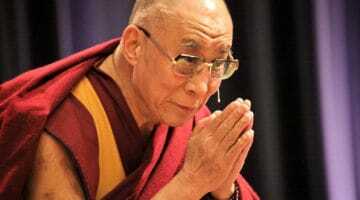 In Buddhism, merit is understood as the value created by performing a wholesome activity, such as meditating. 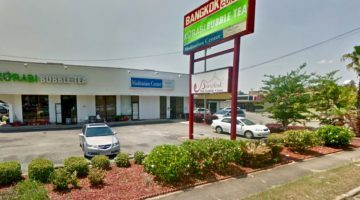 Many Buddhists practice “dedicating merit” to others (see an explanation and instruction from Lama Palden Drolma). If the boys become novice monks, they will donate their gained merit to Kunan’s memory. At the press conference, the boys and their 25-year-old coach, Ekapol Chanthawong, shared the relief they felt when British divers discovered them hunched on a muddy ledge four kilometers from the cave entrance. While trapped for 10 days in the dark, they said they clawed at the walls of the cave with rocks in an attempt to escape. The group took no food with them into the cave, and they had to subsist on water dripping from stalactites. Chanthawong, who was a novice monk for nearly a decade, reportedly taught the boys how to meditate in order to help them keep calm and retain their energy. On Wednesday, the team was discharged from hospital almost a week after their three-day rescue. 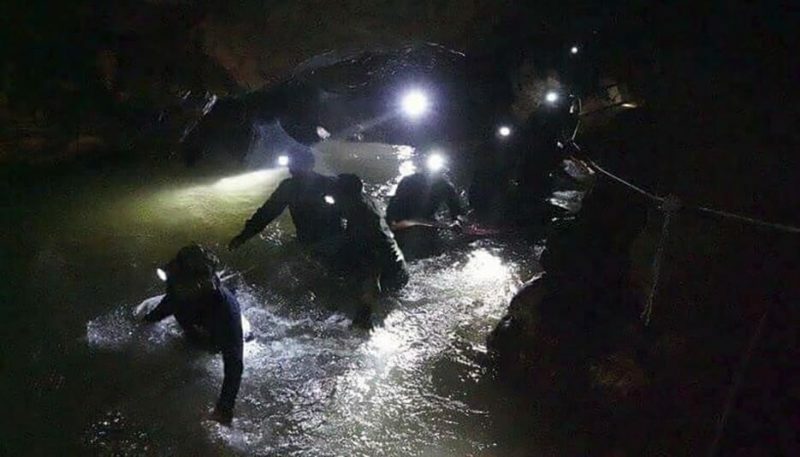 The rescue mission brought together Thai navy SEALs and a global team of cave-diving experts in a diving operation that received worldwide media attention. Kunan was the sole fatality during the rescue, which involved more than a thousand people and lasted over two weeks.